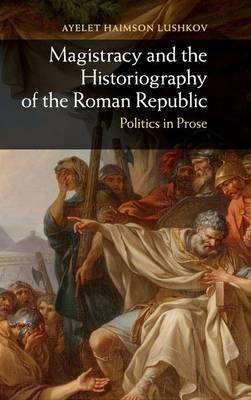 The study of Roman republican magistracy has traditionally been the preserve of historians posing constitutional and prosopographical questions. As a result, one fundamental aspect of our most detailed contemporary and near-contemporary sources about magistracy has remained largely neglected: their literariness. This book takes a new approach to the representation of magistrates and shows how the rhetorical and formal features of prose texts - principally Livy's history but also works by Cicero and Sallust - shape our understanding of magistracy. Applying to the texts an expanded concept of exemplarity, Haimson Lushkov shows how a rich body of anecdotes concerning the behaviour and speech of magistrates reflects on the values and tensions that defined the republic. A variety of contexts - familial, military, and electoral, among others - flesh out the experience of being, becoming, and encountering a Roman magistrate, and the political and ethical problems highlighted and negotiated in such circumstances.